If you are always running out of mobile data, we feel your pain! In the past, you will need to pay a high premium for additional data on top of your regular monthly plan but now with higher demand and the arrival of the 4th telco, it has become much more affordable. 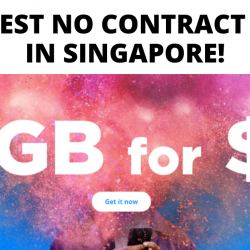 In a bid to win more loyal customers, the telcos are now offering lower price plans with higher bundled data. So which company offers the best no contract plan with high bundled data? We compare them all for you! Exclusively for Singtel customers, get 50% off all mains at Fish & Co. when you make a reservation via HungryGoWhere! Promotion is valid between 2nd January – 15th March 2019. 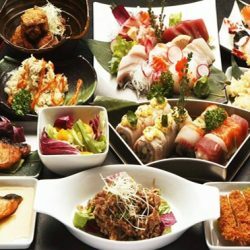 Enjoy a 30% off total bill when you dine at Kanpai Izakaya! All you need to do is to book your reservation via HungryGoWhere! You have to be a Singtel customer too. Offer ends 31 May 2018. 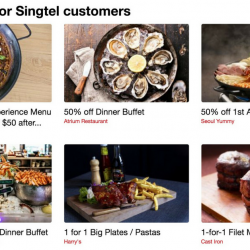 Till 31 Mar 2018 Singtel: Subscribers Enjoy 1-for-1 and 50% OFF Dining Deals in March! 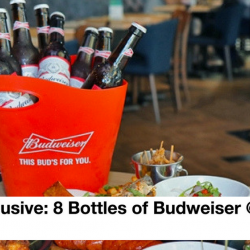 Being a Singtel users does have its perks, especially when it comes to exclusive dining deals! 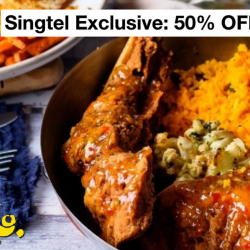 Exclusively for Singtel subscribers, enjoy 1-for-1 and 50% off dining deals at Atrium Restaurant, Seoul Yummy, Escape Restaurant & Lounge, Morganfield's and more! Enjoy yummy hotel buffets, steaks, lobsters, ribs and more when you make your reservations via HungryGoWhere! 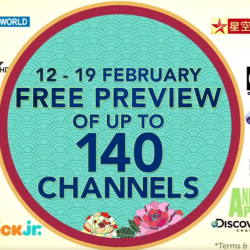 Usher in the Lunar New Year with free preview of up to 140 channels on Singtel TV from 12 – 19 February. All Singtel TV customers can also enjoy free preview on your mobile devices via Singtel TV GO! Whether you’re at home or out house-visiting, you’ll never miss your favourite entertainment. Terms apply. 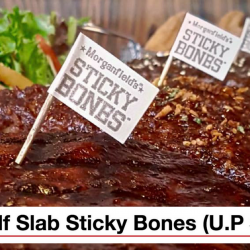 Till 31 Mar 2018 Morganfield’s: 1 for 1 Half Slab Sticky Bones (U.P $27.90++) Exclusively for Singtel customers only! Exclusively for Singtel customers, enjoy 1-for-1 Half Slab Sticky Bones at Morganfield's and indulge in authentic, pork spare ribs slow-cooked to tender mouth-watering perfection! Limited redemptions only, while stocks last. Make your reservations now at HungryGoWhere! Till 10 Jan 2018 Singtel: Subscribers Enjoy $2 Iced Blended Beverage from The Coffee Bean & Tea Leaf! Start your New Year with a sweet treat from Singtel! Enjoy $2 ICE BLENDED beverage from The Coffee Bean & Tea Leaf. To redeem, simply log in to the Rewards page on My Singtel app. Then, flash the promotion page at participating The Coffee Bean & Tea Leaf outlets to enjoy the offer. Offer ends on 10-Jan. While stocks last. T&Cs apply. 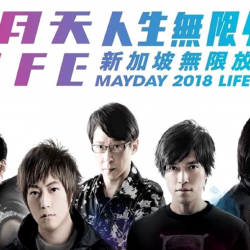 Singtel Music is bringing another exclusive priority sale to fans of Taiwanese rock band Mayday! After 3 sold-out concerts in Dec ‘17, the band will return in 2018 to rock Singapore on a bigger stage with more spectacular effects. “MAYDAY 2018 LIFE TOUR IN SINGAPORE” will take place at the National Stadium on 2 Jun ’18. 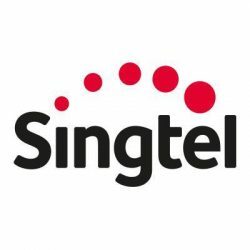 Singtel mobile subscribers enjoy a 2-day priority sale on 4 & 5 Jan ’18! 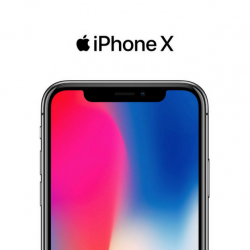 If you are interested in getting the new iPhone X, check out StarHub, Singtel & M1's prices with 2-year contract! 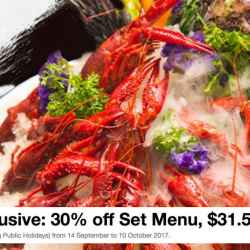 Exclusively for Singtel customers, enjoy 30% off Nanjing Impressions' set menu at only $31.50++ per pax! Located at Plaza Singapura, this restaurant is one of China's Top 10 Food and Beverage Brands with over 40 outlets covering almost every major city in China. Valid till 10 October 2017 only so hurry and make your reservations! Nanjing Impressions builds its cornerstones on the heritage of the Nanjing's culinary culture and its mission is to protect and expand this precious inheritance of natural flavours and time-tested recipes. Every offering in the menu stays true to the original purity in preserving and sharing unique Nanjing flavours. 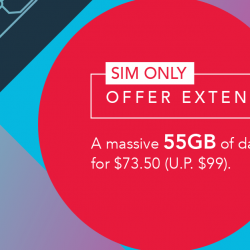 Singtel: SIM Only Plan with 55GB Mobile Data at $73.50 Per Month! 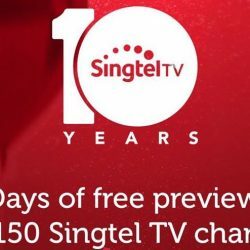 4 - 13 Aug 2017 Singtel: Celebrate Their 10th Anniversary with 10 Days of FREE Preview on Over 150 Singtel TV Channels! 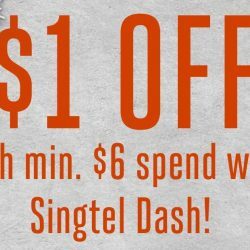 Till 31 Jul 2017 Singtel: Enjoy $1 OFF at Food Republic with Singtel Dash! From now till 31 July 2017, enjoy $1 OFF with min. 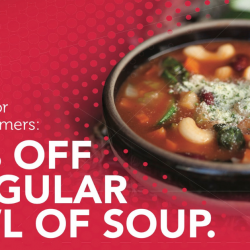 $6 spend at any Food Republic when you pay with Singtel Dash. Explore a wide variety of affordable hawker and restaurant fare under one roof at Food Republic today! Subscribe to Singtel music plan and pay only $1 for first three months with this coupon code. Offer is valid only when you subscribe for a 12-month plan. 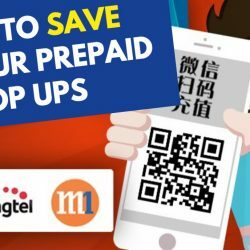 Singapore Life Hacks: Top Up Your Prepaid Cards via WeChat to Save More! 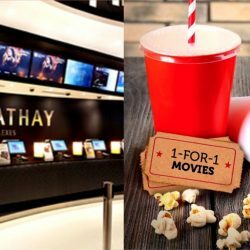 15 Jun to 14 Jul 2017 Singtel: 1-for-1 Wings Set at $19++ from Chicken Up! 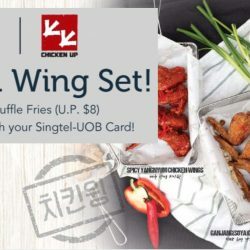 Exclusively for Singtel customers, enjoy 1-for-1 Wing Set (worth $19) with Half Lotus Root Fries and drinks from Chicken Up! Enjoy a 1-for-1 Wing Set from Chicken Up, a casual dining restaurant well-known for its tender and succulent Korean Fried Chicken. Limited sets available, while stocks last. 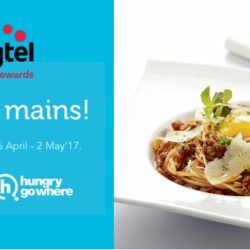 Hurry, book and dine with hungrygowhere.com/singtel today! What’s more, get FREE Truffle Fries when you pay with Singtel-UOB Card. Till 6 Jun 2017 Singtel Exclusive: 1-for-1 Mains at Fish & Co.
Come in pairs to enjoy the 1-for-1 mains from Fish & Co. this month! Limited sets available, while stocks last. 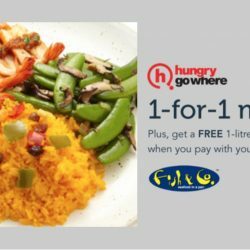 Hurry, book and dine with HungryGoWhere today! 1-for-1 is only applicable to the following mains: White Fish with Ebiko Gratin, Grilled Peri-Peri Prawns, Grilled Peri-Peri Chicken, Shrimp and Clams Aglio Aglio, Black Pepper Chicken Pizza. 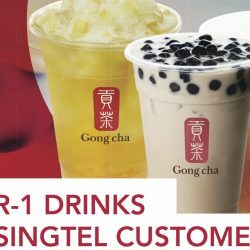 To sweeten the deal, get one (1) free 1-Litre Big Fish Freeze Drink when you pay with Singtel-UOB Card. Only applicable to Matcha Monster, Jungle Freeze, Sharkie Freeze and Giga-Bite. 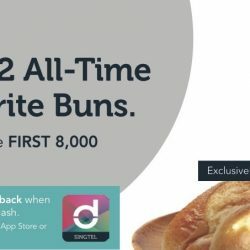 Till 10 May 2017 or while stocks last Singtel: $1 for 2 All-Time Favourite Buns from BreadTalk! Exclusively for the FIRST 8,000 Singtel customers, enjoy 2 all-time favourite buns from BreadTalk for $1! Grab this offer via Singtel app now before it's gone! Choose from An Pan, Ham & Cheese, Get Cheesy, Tuna Bun, Sugar Donut and Butter Sugar Loaf. 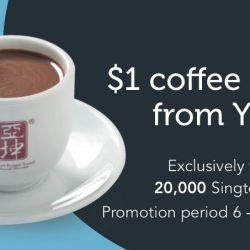 Till 19 Apr 2017 or while stocks last Singtel: $1 Coffee or Tea from Ya Kun! Exclusively for the FIRST 20,000 Singtel customers, enjoy $1 coffee or tea from Ya Kun! Grab this offer via Singtel app now before it's gone! Exclusively for Singtel customers, enjoy 1-for-1 mains at TCC from now till 2 May 2017! Make your reservation via HungryGoWhere now before the limited slots are snapped up! 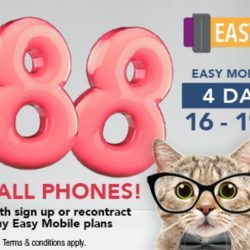 16 - 19 Mar 2017 Singtel: Easy Mobile Online Sale with $188 OFF All Phones for New Sign Up or Recontract! Get ready for Easy Mobile Online Sale starting on 16 March, 7am for 4 days only! Enjoy $188 off ALL phones when you sign up or recontract for any Easy Mobile plan! T&Cs apply.